I looked up to see who had said that to me, but no one was present --just two other church staff members who were praying about other things nearby. I quickly decided that either the Lord had spoken to me or I was going crazy. Choosing to believe the former. I began praying and asking Jesus, “What in the world does this mean? Are you calling me to have a specific ministry targeted toward older people?” I knew that respecting and honoring elders was something important to God, so maybe that’s what God was saying. As I thought about my position on our church staff, it seemed like the opposite of what God was doing in my life. Although I didn’t realize it at the time, the Lord had planted a seed in my heart, and I wouldn’t stop asking questions until I figured out what it meant. So, I began studying the Greek and Hebrew words for “honor” and reading all the verses in the Bible that talked about it. I found books on the topic and read them also, and before long I was finding ways to teach others about the concept of honor and walk in it. Honoring others was just another way for me to encourage others, and that felt like putting on my favorite pair of comfortable jeans--familiar and authentic. It felt like another love language to speak. The “honor seed” in my heart grew and grew and became a full grown core value in my life. It acts like a guide rail that keeps me on the highway to my future. When I am at my best I am leading others into a lifestyle of honor. As I put a timeline together that shows the people, events and circumstances that God has been using to shape and mold my life, a yellow sticky note represented this important moment. It represents that shift in my thinking and the moment in time that started me on this journey that I will never complete. I first put my timeline together at a workshop called Focused Living--a workshop that I get to teach twice a year at Neighborhood Church. 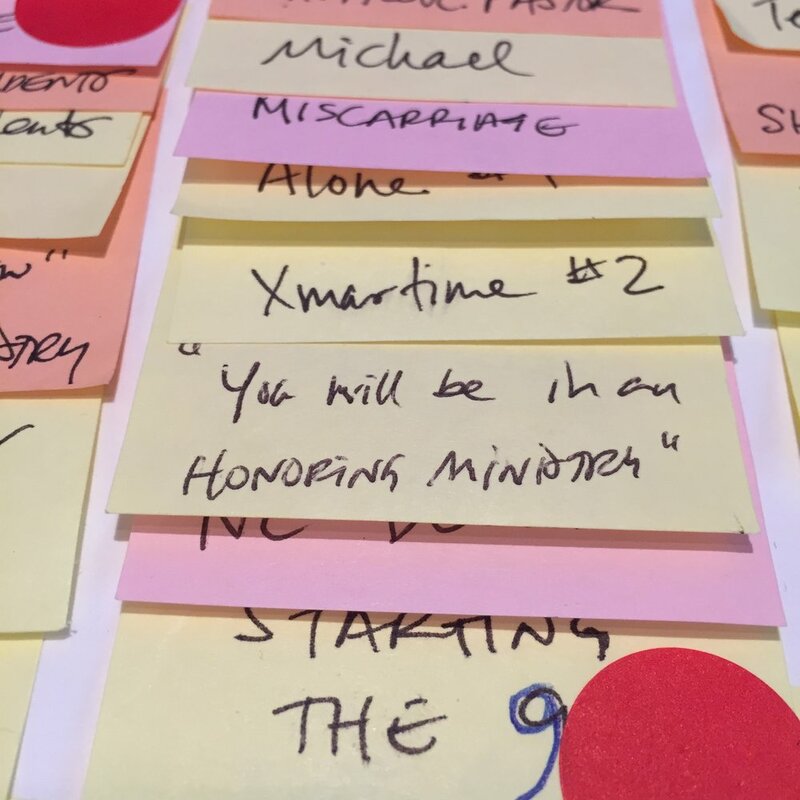 At every Focused Living workshop there are hundreds of “aha” moments where the Holy Spirit reminds those in attendance of moments like the one I just described. As we teach you how to build and look back at your timeline, the Lord will help you see the trends and directions that will give you a glimpse into the direction of your life in this next season. The Lord has been planting seeds before you were even born to prepare you to do great things that you were designed to do. Newer PostFrom the desk of Andrew Burchett: Who stole the honor from American politics?